Thai Prime Minister Prayut Chan-o-cha on August 25 ordered to suspend Bangkok Governor M.R. Sukhumbhand Boribhat from duty for an unspecified period of time, pending further investigation into corruption charges against him. 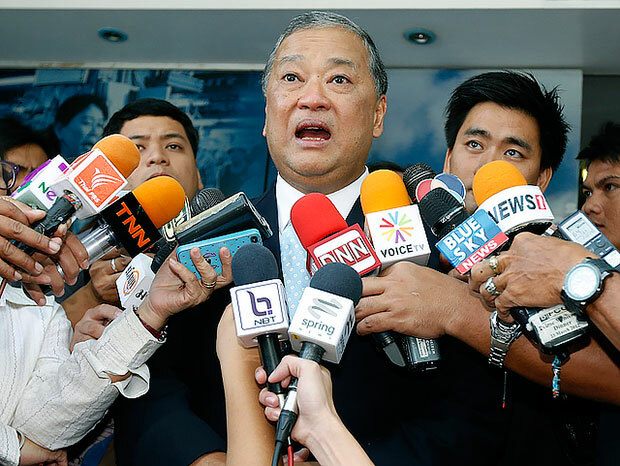 Sukhumbhand has been accused of involving in a graft over an estimated one million USD in procurement of a LED lighting system shown at the Bangkok Metropolitan Administration’s headquarters during New Year season earlier this year. The Office of Auditor General has conducted an investigation into the case based on allegations that it was unusually costly. Deputy Bangkok Governor Pusadee Tamthai currently serves acting governor in place of Sukhumbhand who left for Seoul on an official mission./.